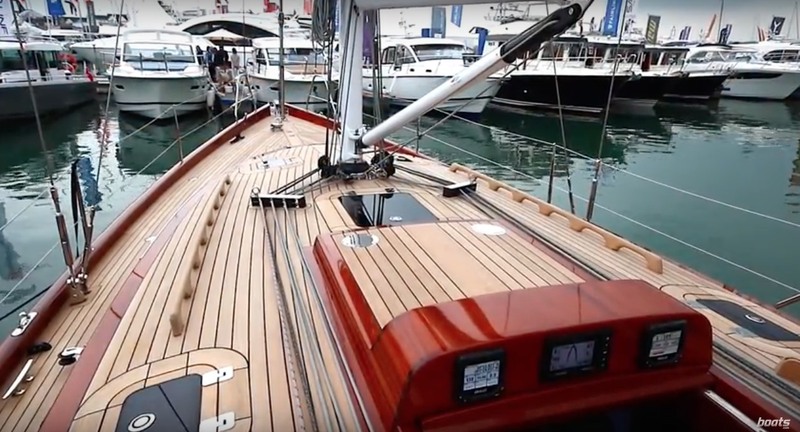 Rupert Holmes sails this appealing gaff cutter that benefits from up to date design and construction. 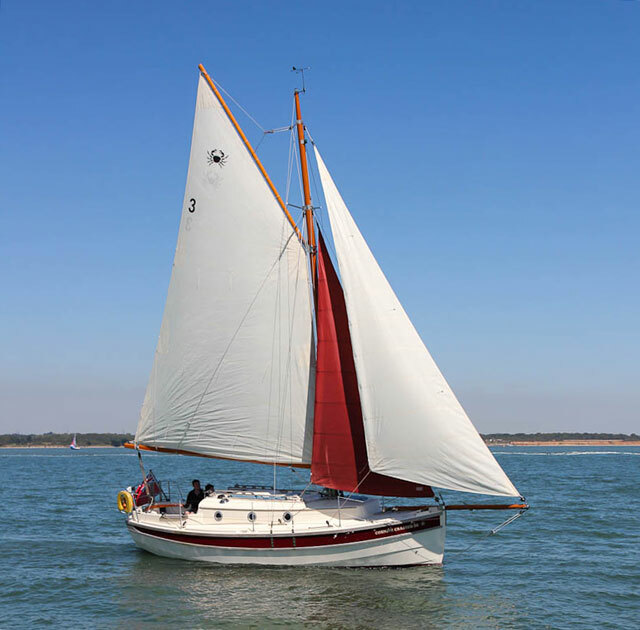 The traditional styling and gaff rig of the Crabber 26 belie the boat's ease of handling, speed, pointing ability and manoeuvrability, all of which would be the envy of her forebears. The 26 also has significantly larger accommodation even than similar models designed just a couple of decades or so ago. Cornish Crabbers' managing director is Peter Thomas, whose father David is the renowned yacht designer with a long string of successes to his name. It was therefore only natural that Peter should approach his father with the idea for the 26. 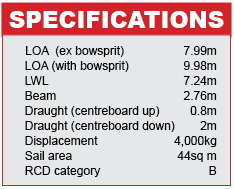 An alternative explanation is that few designers might have been prepared to take on such a tough brief: a 26ft (7.9m) boat that would be rewarding to sail and combine elegant, classic styling with 1.9m headroom and draught of no more than 0.76m. It's a testament to David's skills as a designer that he was able to fulfill the brief, with the only compromise being to use lead ballast instead of iron, which adds around £5,000 to the price, but allows for a lower floor in the saloon, rather than increasing freeboard or coachroof height in order to increase headroom. One reason for the draught restriction was for the boat to be able to dry out easily. It has a shallow long keel, plus bilge runners, so even when dried out on a hard sandy bottom it will only heel by eight degrees. By contrast, a deeper draught would require legs to dry out. While in theory these sound like an ideal solution, the practice can be somewhat different, particularly if the boat is buffeted by strong winds when aground. 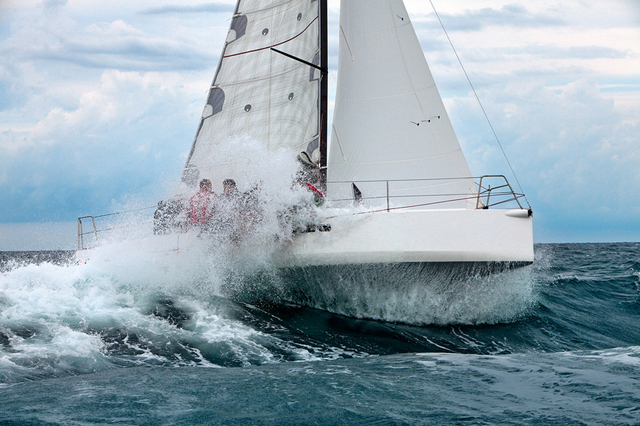 While being very conscious of the draught and headroom constraints, David Thomas, whose background is in more performance-oriented boats, did not want to risk compromising performance. 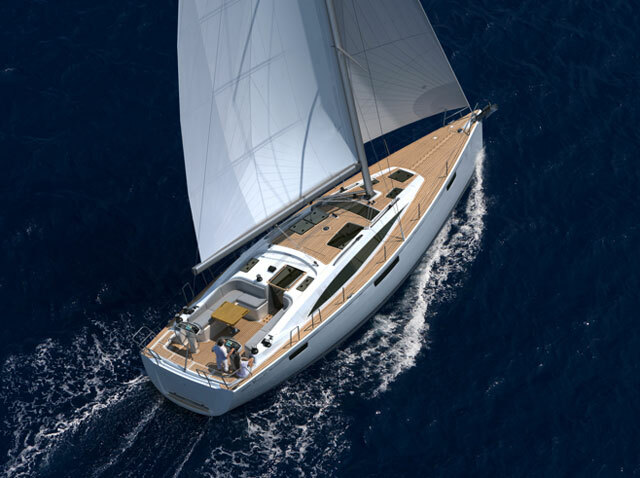 The hull therefore has a fine entry forward and relatively straight run aft, with an enlarged prop aperture that effectively shortens the keel a little, making the boat quicker and more responsive than would be expected of a long keel design. A deep and efficient centreboard helps keep leeway to a minimum. 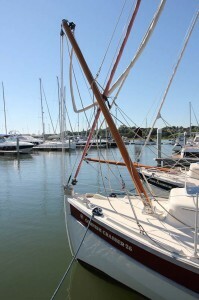 A gaff rigged mainsail has two halyards, one for each end of the gaff. Cornish Crabbers make things easy by leading both back to the cockpit on the starboard side of the coachroof. To hoist the sail you start pulling both halyards together, until the forward (throat) halyard is hand tight, pop it on the winch to get full tension, and then continue hoisting the peak (aft) halyard. It's a quick process that takes one person no more than 30 seconds. Lowering the sail is equally easy – the weight of the gaff helps bring the sail down and the combined boom topping lift and lazyjack ensures the gaff lies on top of the boom and the sail virtually self-flakes between the two. 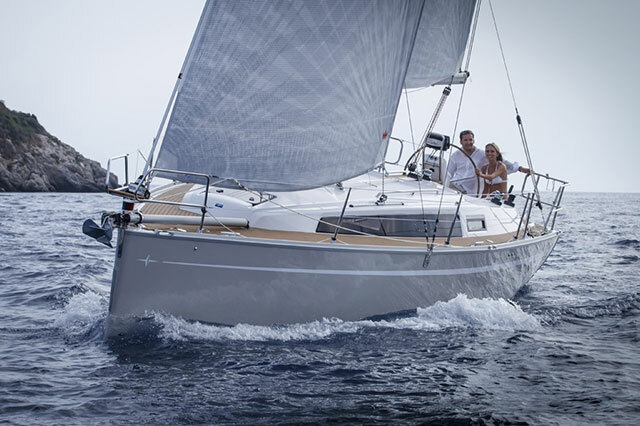 Our test took place on one of the first proper summer days this year in the kind of super-light conditions that can be very telling about the sailing performance of a boat and in which undesirable characteristics are often more apparent than in a solid force 3-4. A traditional aspect that's retained is good directional stability – if you let go of the tiller the boat will continue sailing in much the same direction for a while, especially with the wind forward of the beam. Although relatively heavy on the helm compared to a lighter design, there's plenty of positive feedback and even in super-light conditions she was nicely balanced and responsive. 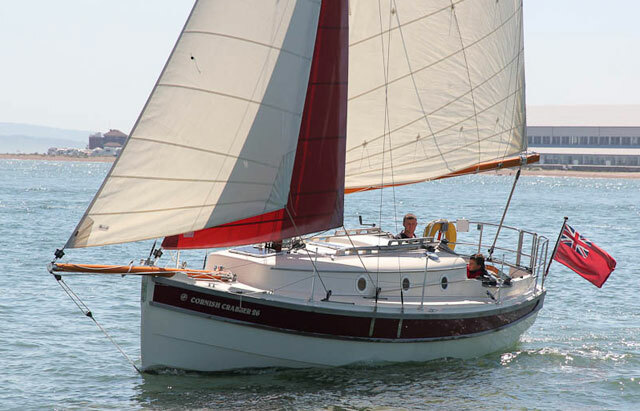 It's possible to sail close-hauled with the centreboard raised, which maybe useful if tacking up a narrow creek, for instance. However, as well as making less leeway, she will pivot around the board when it's lowered, which makes the handling somewhat crisper and tacks quicker. Given the very light airs and the need to sail a little free of the wind to keep speed up, the angles through which the Crabber tacked impressed us – this was consistently around 100 degrees. If you want to point 5-10 degrees closer to the wind there's an optional bermudan cutter rig. Of course, it's hard to tell how stiff the boat would be in a stronger blow, except to stay that we barely heeled at all, even when close-hauled. The rig is a key area that David Thomas spent a lot of time on, refining it to create a modern efficient and easily-handled sail plan. This included elimination the inconvenience of running backstays – instead spreaders mounted aft of the mast that provide support. As a result the boat is much easier to tack than a traditional gaffer and as we discovered the high-peaked mainsail is surprisingly close-winded. There's also a sense in which the cutter rig is efficient when the wind increases. 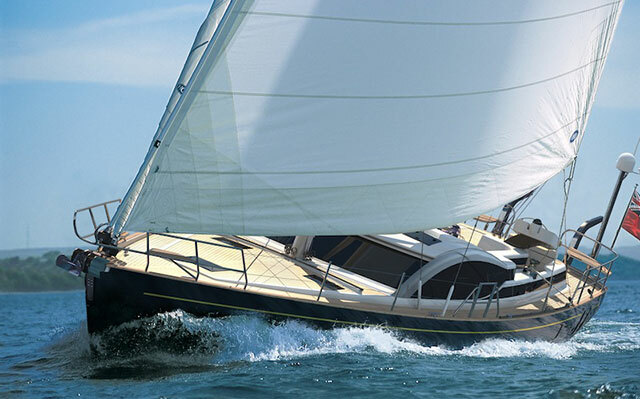 Rather than partially reefing a genoa, which can be a considerable effort and generally results in a very compromised sail shape, with the Crabber's rig you simply furl the staysail, leaving the boat driving on the jib, which will still retain an efficient shape. 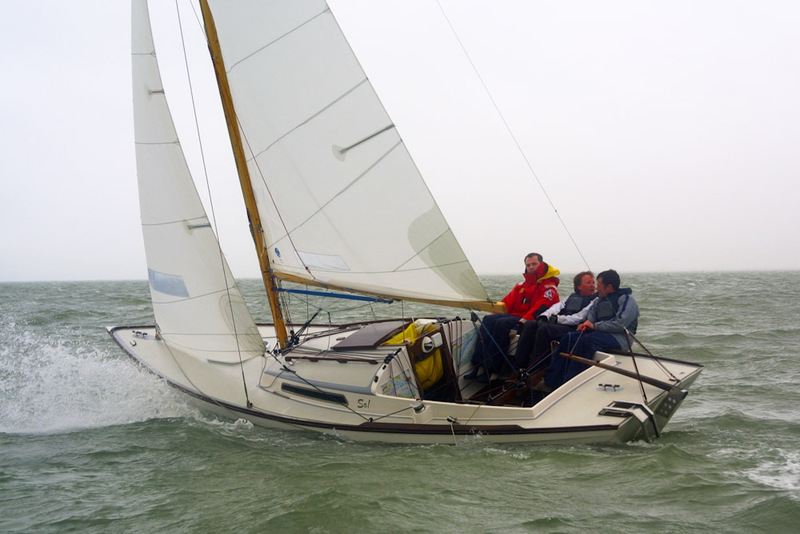 Furling the staysail also improves visibility, which is great when sailing into a river or other restricted area. 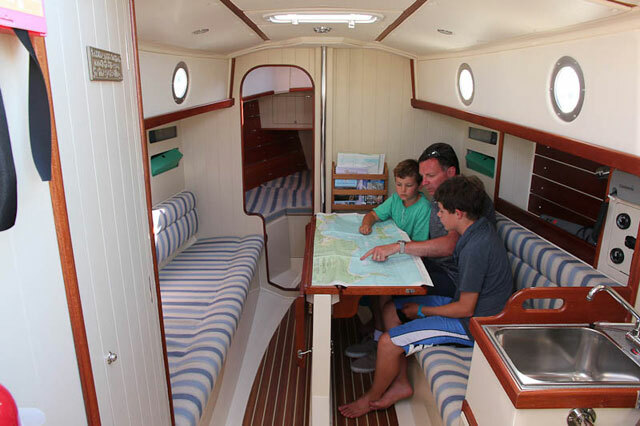 The cutter rig is also ideal for sailing with children onboard – sheet loads are relatively small and there are no giant primary winches, so even quite young kids can be given responsibility for one of the headsails. It will also be appealing to anyone who finds that advancing years means they are less enthusiastic about energetically grinding winches, but don't want the complexity of a boat with electric winches. The Yanmar 3YM20 three cylinder inboard diesel provides plenty of power. At first sight it appears somewhat shoe-horned into the engine bay, but closer inspection reveals well-planned access panels that can be removed for almost all-round access. Manoeuvring under power is inevitably not as point-and-shoot easy as with a light boat with a deep fin keel and powerful rudder. However, the large cut out around the prop means there's very little prop walk compared to traditional long-keel designs and steerage way is relatively easily gained in reverse. Similarly a flick of the helm won't spin the boat within her own length, but handling is predictable and owners shouldn't encounter problems even in a marina, especially if the bowsprit is retracted. This is a quick process, so it's easily done before entering confined areas. Below decks all the best aspects of a traditional feel can be found, without the typical downsides. There are attractive tongue and groove effect bulkheads, with also a bright feel, enhanced by good use of light painted woodwork offset by hardwood trim. The accommodation is also well ventilated, with overhead hatches and plenty of proper portholes, while the generous headroom helps create an additional feel of space. The galley is aft next to the companionway, with a twin burner gas cooker, single sink, plus icebox/optional fridge and lockers that make good use of the available space. Opposite is the heads compartment – it's well positioned here and easily accessible from the cockpit, although it's relatively compact and has slightly restricted headroom. 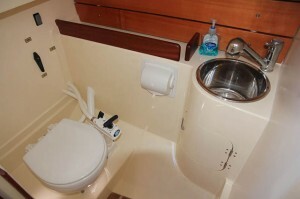 The saloon is in the widest part of the boat, with a surprisingly spacious feel given the boat's modest dimensions. 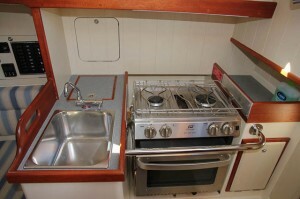 There's easily room for six people to dine at the large folding table that sits on top of the centreboard casing, as well as plenty of stowage. The forepeak cabin has a large double v-berth, with good standing space with the infill at the head of the berth removed, plenty of easily accessible stowage for small items, and bags more room under the bunk. The overall effect is of well-finished boat that stands apart from the mainstream manufacturers and is both easy to handle and to maintain. Cornish Crabbers offers a large range, with seven designs from 12-30ft. 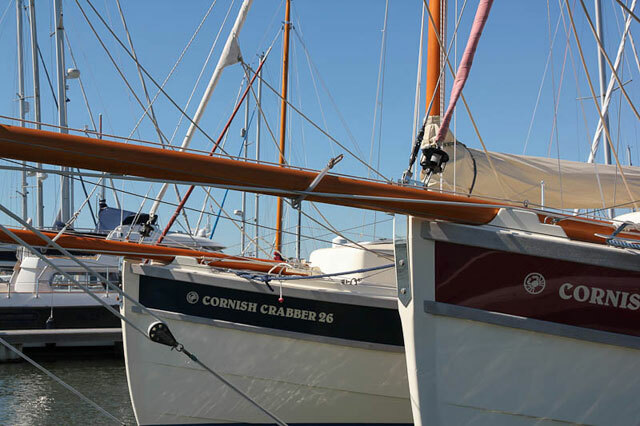 Of these it's the 19 (Cornish Shrimper), 22 and 26 that are the big sellers – the 26 has effectively robbed both the 24 and the 30 of sales: it has almost twice the accommodation of the 24, for a modest price premium, and offers similar volume to the 30, while being significantly cheaper. 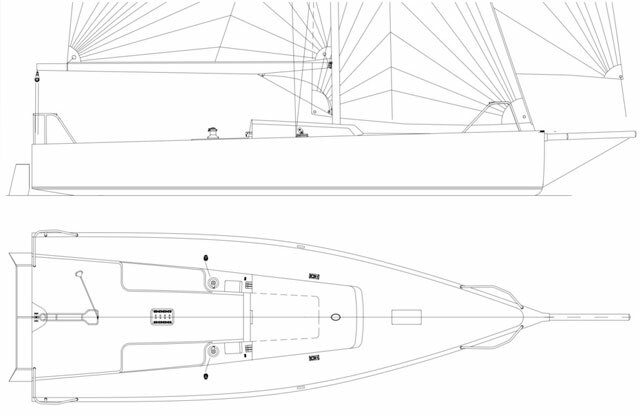 There's also a 32 footer on the drawing board which will have significantly larger accommodation, including a separate double aft cabin and much improved galley and heads. This is a key consideration for anyone buying a new boat, and one in which Cornish Crabbers tends to score highly. When we did the test they had just sold an 18-month-old Crabber 26 taken in part exchange against a Mystery 35 (see our feature Mystery 35: classic looks, fast foils). 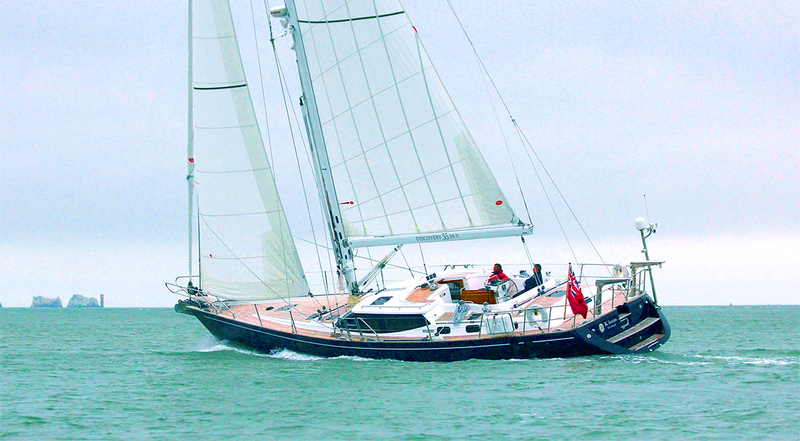 The Crabber had sold new for £95,000, including options, and achieved £87,000 as a second-hand boat.